In the summer of 2012, Steve Jenkins was contacted by an old friend about adopting a micro piglet. Though he knew his partner Derek wouldn't be enthusiastic, he agreed to take the adorable little pig anyways, thinking he could care for her himself. Little did he know how that decision would change his and Derek's lives forever. It turned out that there was nothing micro about Esther, and Steve and Derek had actually signed on to raise a full-sized commercial pig. Tiny Esther weighed just four pounds back then, but in three years, she was a whopping 600 pounds. Esther quickly outgrew their small home--but not without some real growing pains and a lot of pig-sized messes. When it became clear that Esther needed more space--and a lot of it--Steve and Derek made another life-changing decision: they bought a farm and opened the Happily Ever Esther Farm Sanctuary, where they could care for Esther and other animals in need. 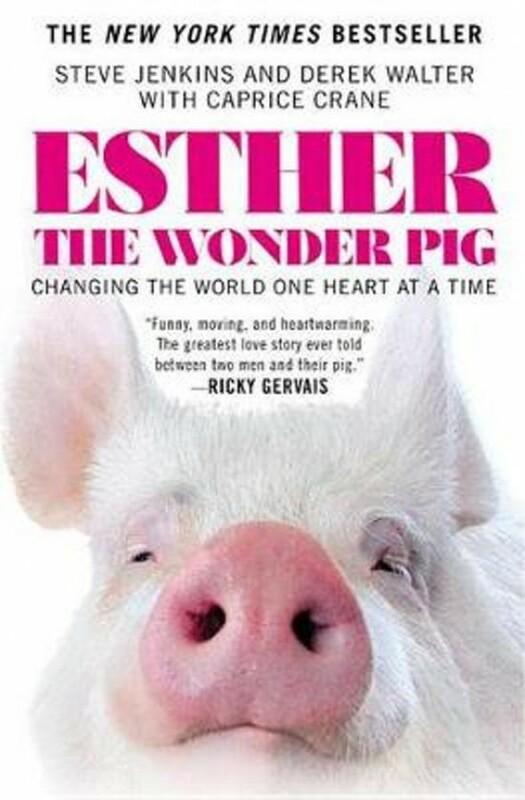 Funny, heartwarming, and utterly charming, ESTHER THE WONDER PIG followes Steve and Derek's adventure--from reluctant pig parents to farm-owning advocates for animals--showing how families really do come in all shapes and sizes.